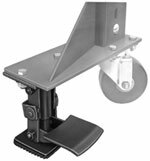 Steel or rubber wheels available in either rigid or swivel type. 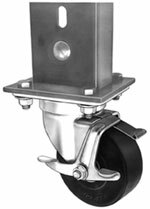 Standard wheel sizes are 4" and 6", with options like wheel locks available. Please note that casters can limit the overall capacity of a conveyor.